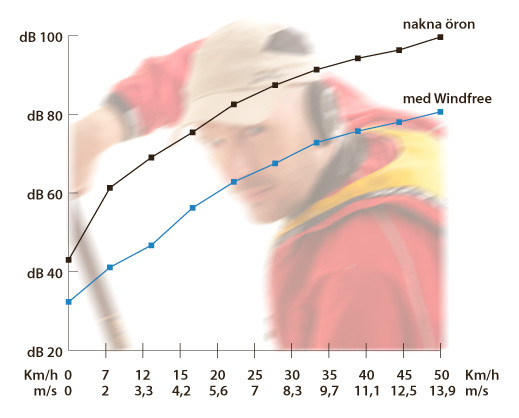 Facts - Windfree - wind, free, noise, ears, ear, tinnitus, decibels, dB, reduction, hearing impairment. Windfree comprises a foam with a cell structure that allows sound to pass but not wind. We have simulated the ears of fast animals, which are protected by fur. Windfree is patent protected. 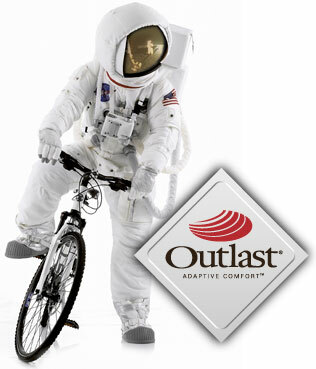 001755711-0001EU and US D669,574 S.
To improve comfort we have also included a layer of Outlast®, a material that is cold when it is warm and warm when it is cold. Sound too good to be true? We can thank NASA for this development: in the most extreme environment known to man, space, astronauts need to even out temperatures.